It takes a special kind of person to serve in the military. There's a lot that the men and women who serve have to consider: being away from family and friends, being in tough physical situations and, in extreme circumstances, putting their lives in danger. 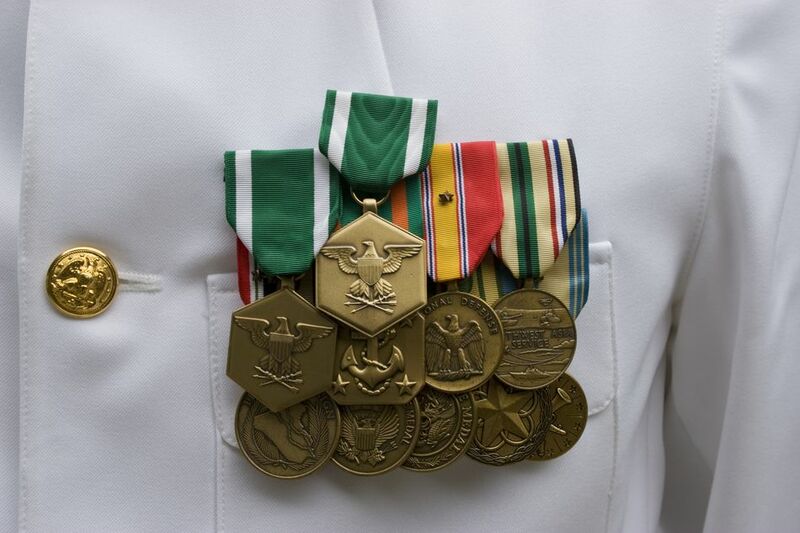 There are many different honors for those who serve in the military. Among them are the Purple Heart, the Distinguished Service Cross, the Navy Cross and the Army Commendation medal. In the following article, we take a closer look at the Army Commendation medal. Here are some key points about this medal, including how it's awarded and what it looks like. In November 1945, an idea was floated around by the personnel division of the WDGAP to create a commendation ribbon to distinguish meritorious service in an area at an occasion for which the Bronze Star Medal may not be awarded. The Secretary of War approved the suggestion and War Department Circular 377 officially recognized the ribbon on Dec. 18, 1945. Major Generals or commanders of any command, force or installation usually commanded by Major Generals were given the authority to award the Commendation Ribbon. In April 1948, a medal pendant was approved for the Commendation Ribbon by the Secretary of the Army and the Secretary of the Air Force. Two months later, the Secretary of the Army and the Secretary of the Air Force both approved the design of the medal. On June 1, 1962, President Kennedy authorized the award. In a memo to the Secretary of Defense, the president sanctioned the award to a member of the military service of friendly foreign countries who committed acts of heroism, achievement or meritorious service. The Army Commendation Medal is awarded to any member of the Armed Forces other than general officers. The medal is awarded to anyone who performs qualifying service in the United States Army. This may include meritorious achievement, service or performance of duty, an act of courage or heroism. The act justifying the award may entail aerial flight, and it may be made noncombatant-related acts of heroism which do not meet the requirements for an award of the Soldier's Medal. Military members of foreign countries may also be awarded the Army Commendation Medal. The Army Commendation Medal is a bronze hexagon, measuring 1 3/8 inches wide. On the face of the medal, an American bald eagle — with wings outstretched horizontally — clutches three crossed arrows in its talons. The eagle has a shield paly of thirteen sections and a chief. The Army Commendation Medal's ribbon is 1 3/8 inches wide. It has a total of 12 stripes. The edges of the ribbon are both white and the ribbon is primarily myrtle green. In the center are five thin white stripes spaced equally apart.